Departure from the dedicated meeting point in Naples in the morning with a comfortable, air-conditioned coach to appreciate the attractive iconic landscape that includes Vesuvius, Ischia, Capri, and Sorrento. 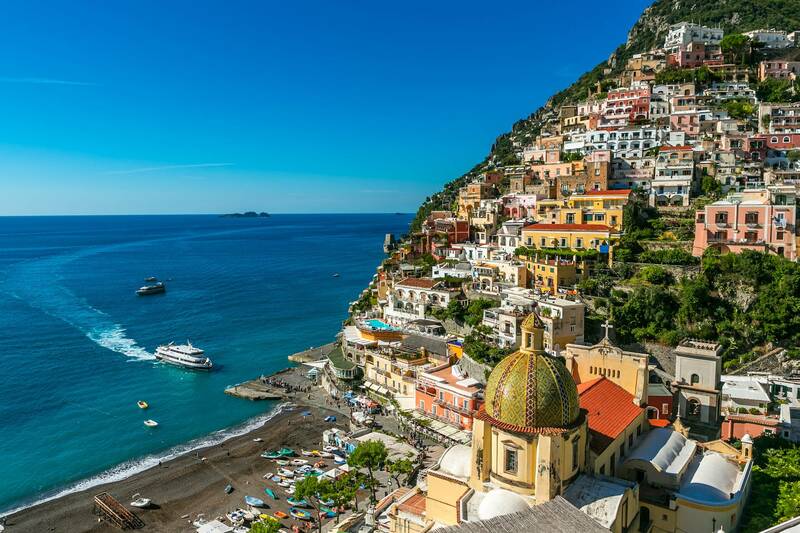 Along the way through the most beautiful stretches of the coastline, you arrive in the little town of Positano, for an approximately 1 hour stop, with a profound artistic inspiration. 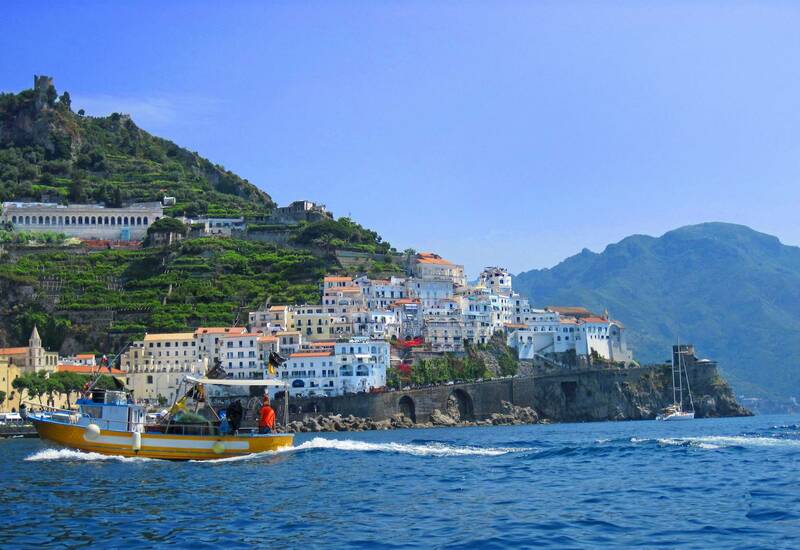 Enjoy some free time to explore this lovely hillside town, whose colorful buildings cascade down to the sea. 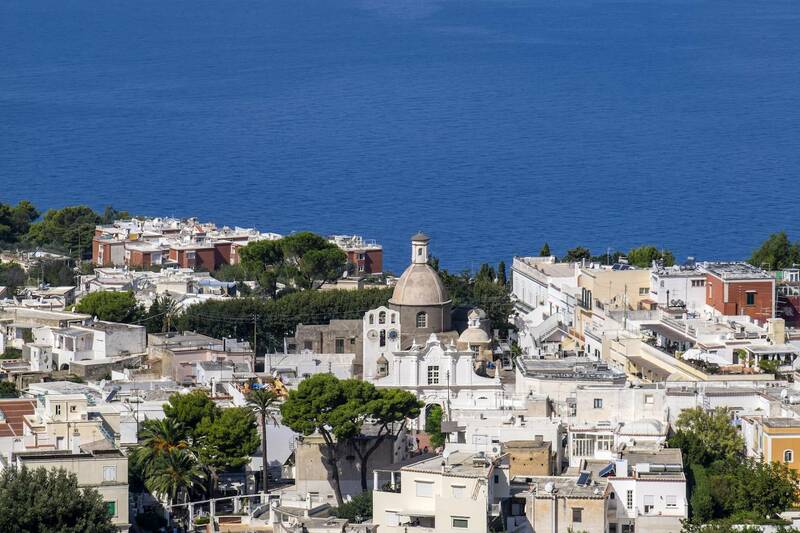 Browse shops, walk along the beach or visit the church of Santa Maria Assunta if you wish. 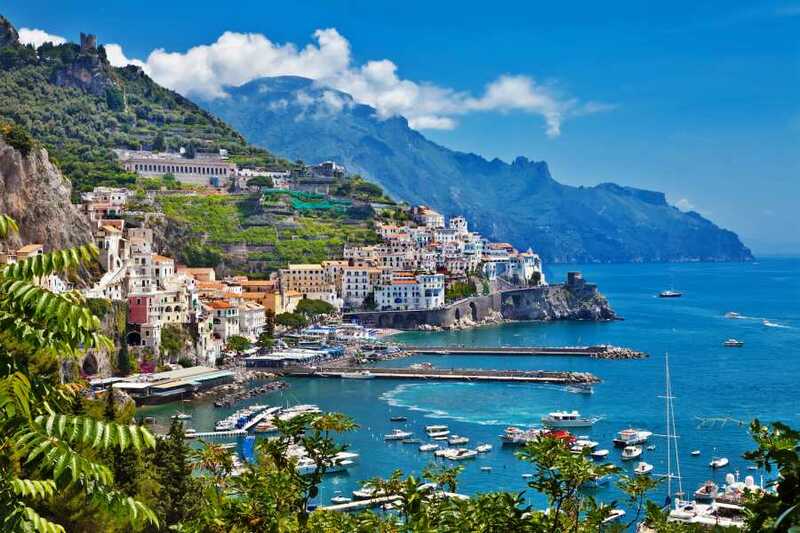 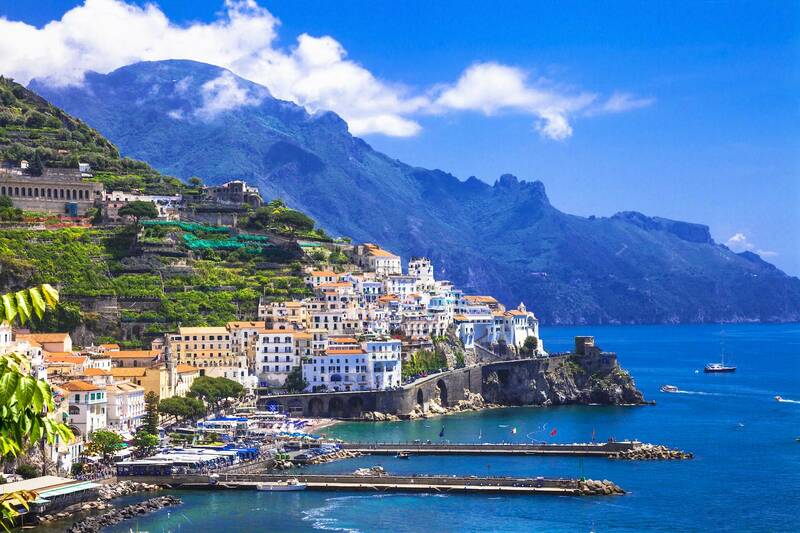 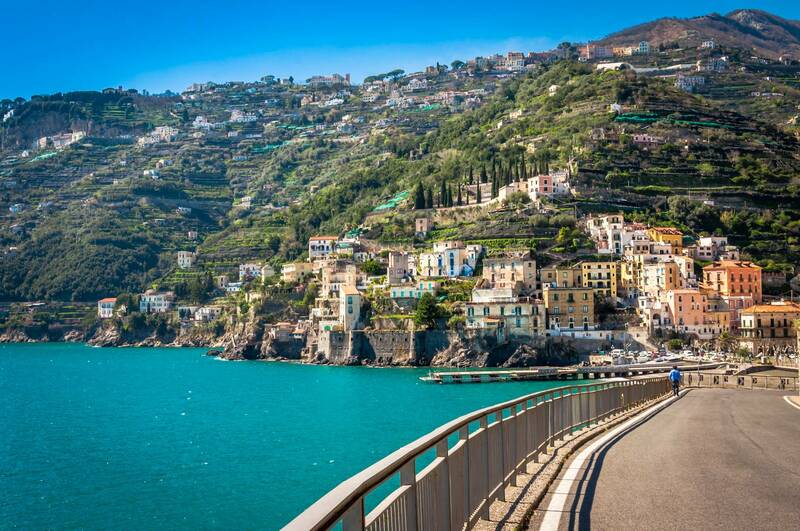 Then head to Amalfi, driving through the beautiful villages of Praiano, Furore and Conca dei Marini. 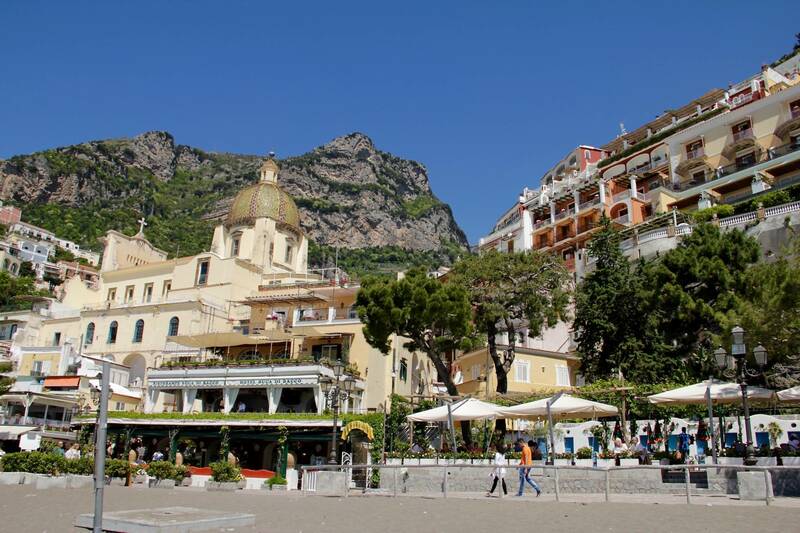 Stop at Amalfi, the original town of handmade paper production (2 hours stop). Enjoy typical Mediterranean architecture, made up of lanes and characteristic white houses piled one upon the other, making it one of Italy's most famous resorts. 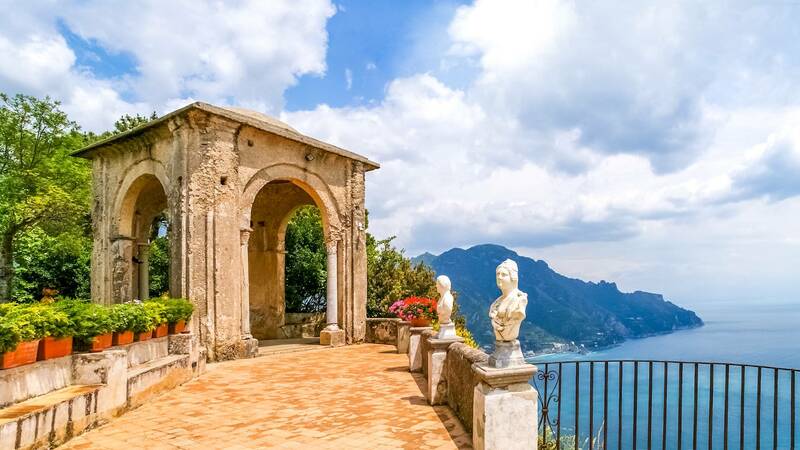 The final stop will be at Ravello, a magic land as described by the most noted travelers and elected "A Spiritual Homeland" (1 hour stop). 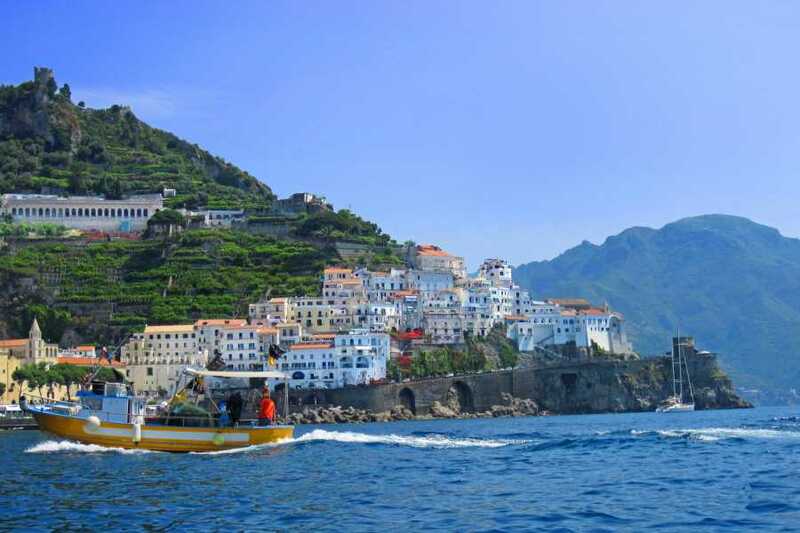 Enjoy views of the coastline, with views of Minori and Maiori, from this charming little town. 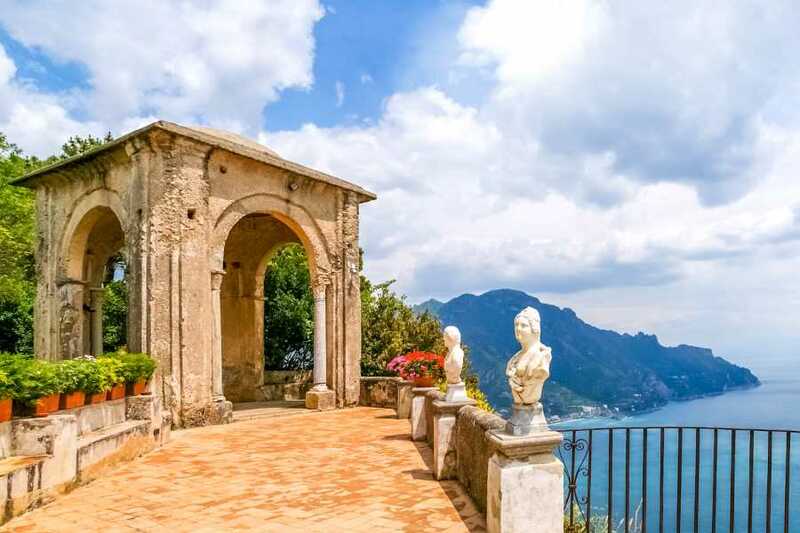 Visit the city on your own, and if you are a fish lover you may wish to visit Villa Rufolo, a 13th-century villa with beautiful cascading gardens and exquisite views. Your tour then concludes back to check-in at your hotel in Sorrento. 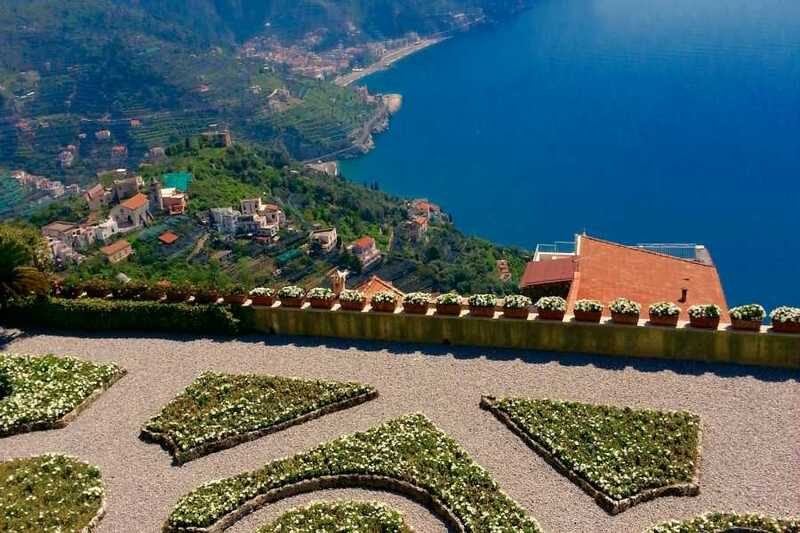 Overnight: 3-star Hotel La Pergola or similar, or 4-star Hotel Eliseo Park’s or similar in Sorrento. 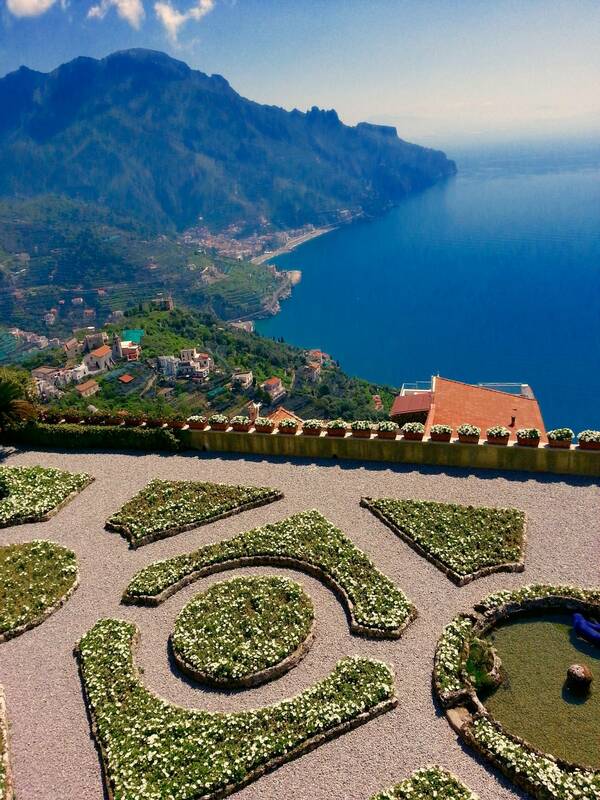 Breakfast at your hotel in Sorrento. 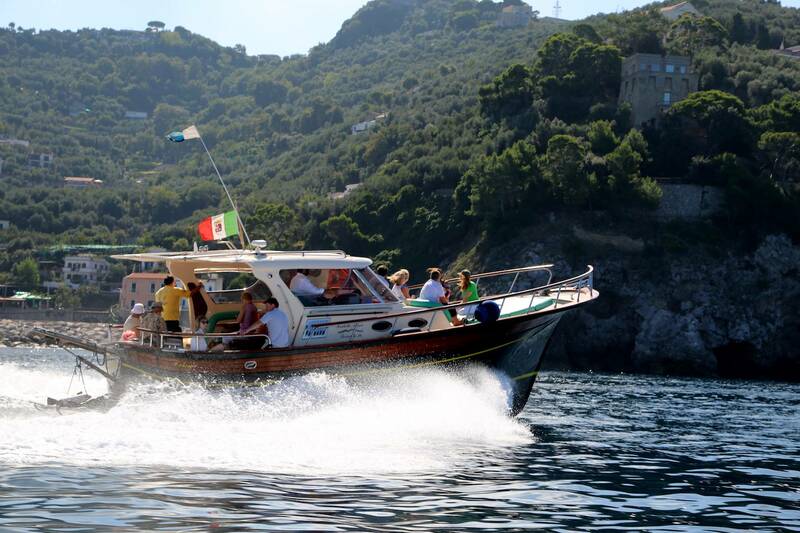 Departure from your hotel in Sorrento to the port and start the boat trip to the island of Capri. 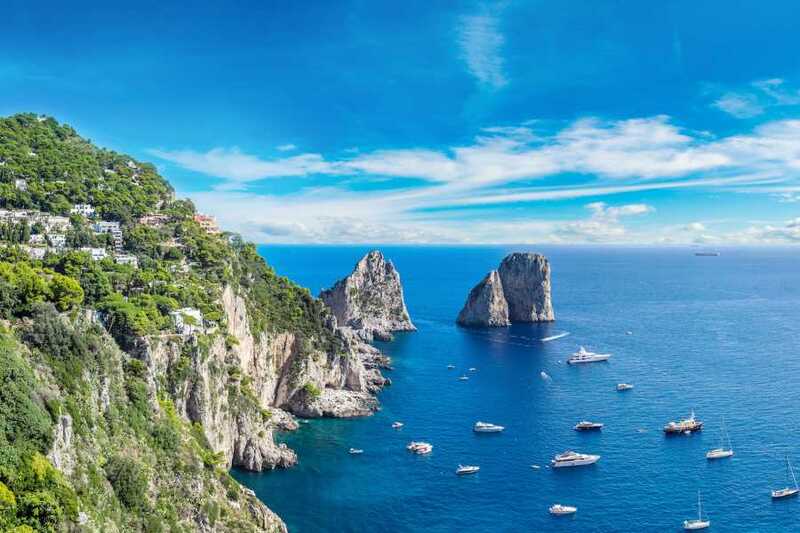 The boat sails along the stunning Sorrento Coastline and goes around the island of Capri to see some of its most breath-taking sites. 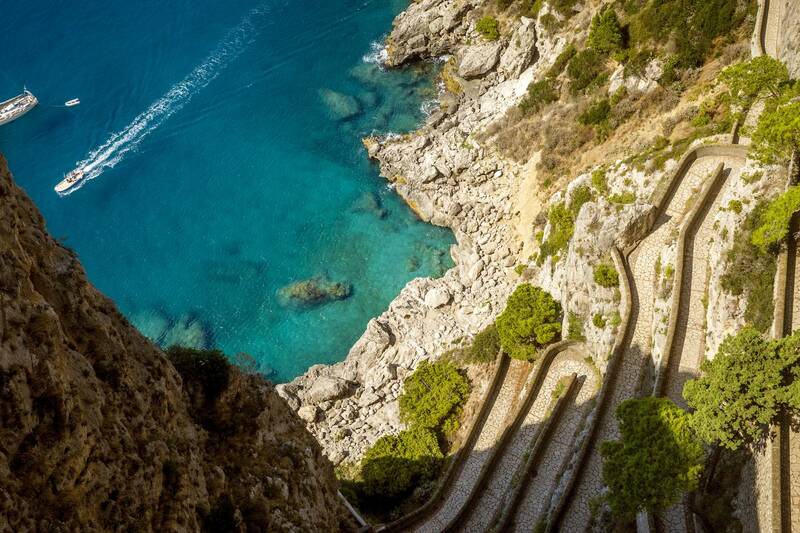 Pass along the striking Faraglioni rocks and explore the White, Blue and Green Grottoes (entrance fees not included), unique sea caves that are illuminated in different colors by the reflection of the sunlight hitting seawater. 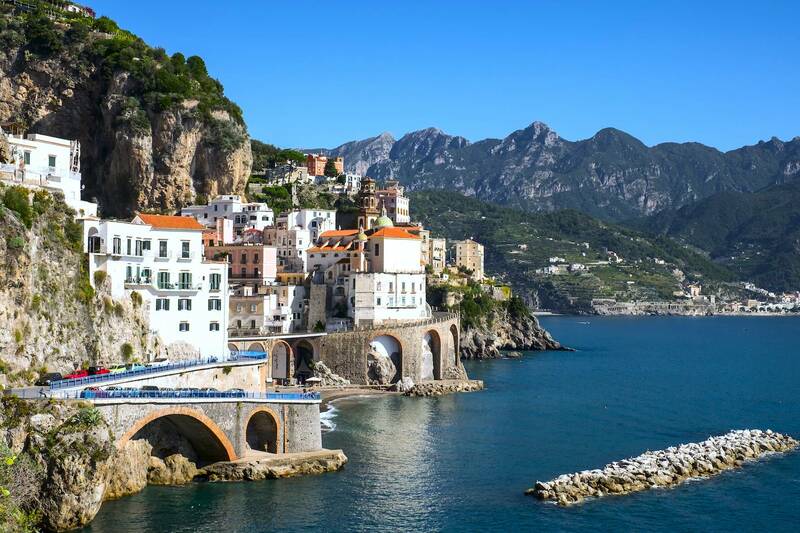 Take a dip in the crystal clear water or simply kick back and relax with the ice-cold beverage and some glorious sunshine. 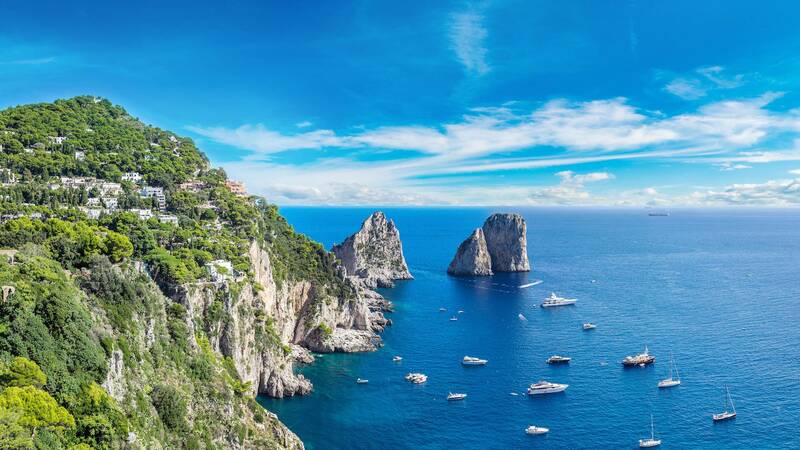 Once in Capri, you will have free time to enjoy the beautiful island before heading back to the harbor where you will collect your luggage. Private transfer back to Naples. 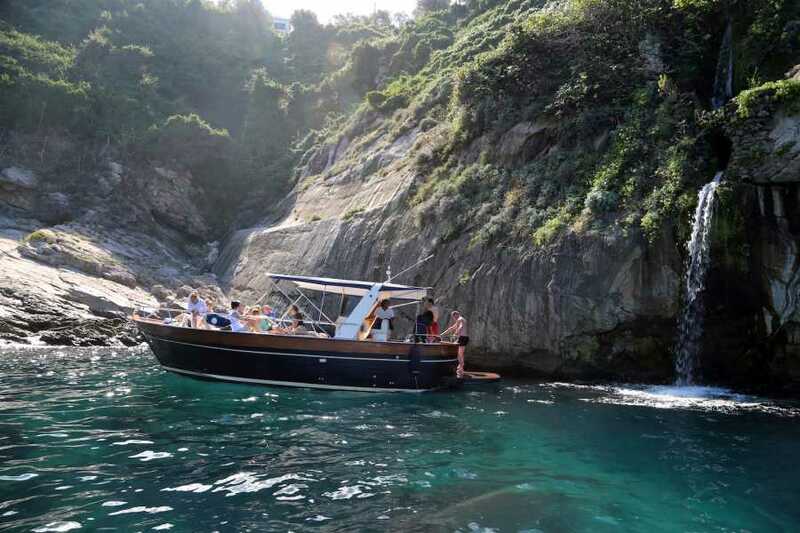 - Entrance fees to the Blue, Green and White Grotto in Capri are not included and depend on weather condition and queue waiting.